Your donation will contribute to a range of much needed resources that will empower people with disability to build skills for life and increase independence, including vehicles to improve access to the community, home refurbishments and educational resources. 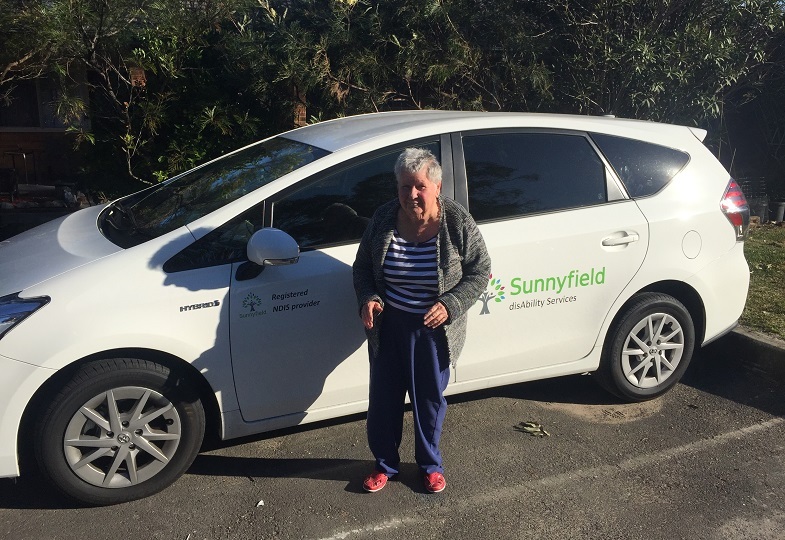 Thanks to generous donations towards transport funding, Peggy has the freedom to access her local community and do more of the things she loves. Peggy uses the vehicle to go out for lunches with her friends and to the mall to shop for her favourite magazines. “I have a lot of books. I haven’t got them all yet, but can’t wait to pick them up.” Peggy. Peggy and her housemates now have to the choice to do more of the things they want to do and it is a much happier household.